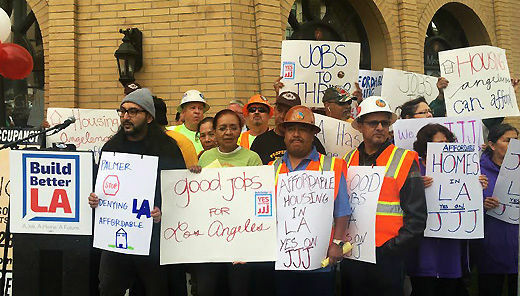 Proposition JJJ, which will be on the November 2016 ballot, will require developers who want special zoning changes to build affordable housing, and that at least 30 percent of the construction workers would have to be residents of the City of Los Angeles. In addition, the measure will provide incentives to developers to build more affordable housing near major transit hubs, and to include a “no net loss” policy that ensures the replacement of any rent stabilized units. Geoff Palmer, company head of GH Palmer Associates, owns 10,400 rental units in Southern California worth over $3 billion collectively. In 2009, Palmer successfully sued the City of Los Angeles when he challenged the condition for the approval of his 350-unit apartment complex that would require that some of the units be made affordable to low-income households. Palmer sued to block the mandate, contending that the city was effectively setting the rent for his units, claiming it was a violation of the Costa-Hawkins Rental Housing Act. Josefina Castillo, a South LA resident and member of the Alliance for Community Transit – Los Angeles, spoke next at the podium. “I am here today because we cannot allow luxury developers like Palmer to continue pushing people out of our city, force us to move due to rising rents, or lack of housing options and quality jobs. Prop JJJ will make sure that developers do their part to create housing that is affordable and accessible to all families,” said Castillo. 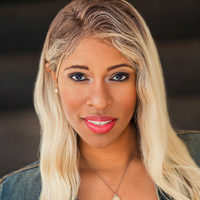 Proposition JJJ will appear on the November ballot. More information on the initiative can be found here.